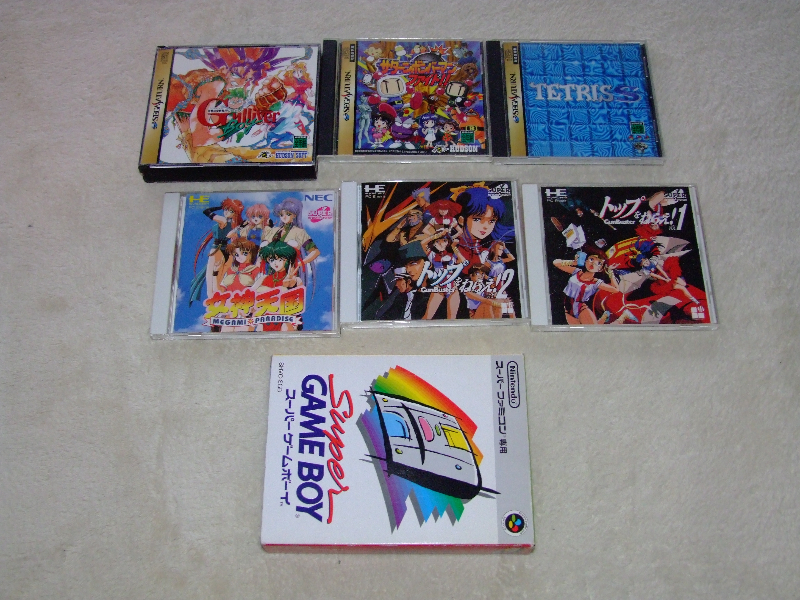 Yet Another Game Haul Post…. So what gear do we have today then…. Before I get into that, I have to say that the post today is brought to you by a pretty horrible head cold. I was at the desk, and there was no way I could finish off the official work I had on, so why not head home and put up a post. 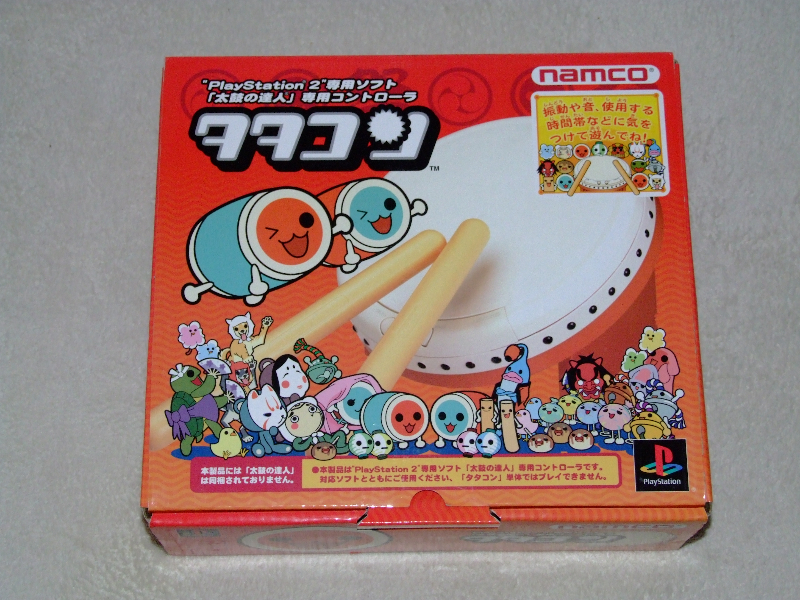 A TaTaKon (Taiko controller) and a few games for the PS2. 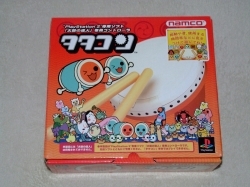 I’ve actually wanted one of these Taiko controllers for ages, but I always thought they were a bit pricey – however this weekend luck was on my side! I managed to score this controller for the hefty sum of $3 in one of the junk bins of HobbyOff. 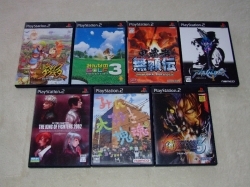 Most of the PS2 games there were in the junk bins too, so there are a few scratches, but for the prices I can’t complain at all. Katamari Damashi was a game that I had borrowed, so I’m happy to finally have my own copy without having to pay $20 – I got this for only $1. 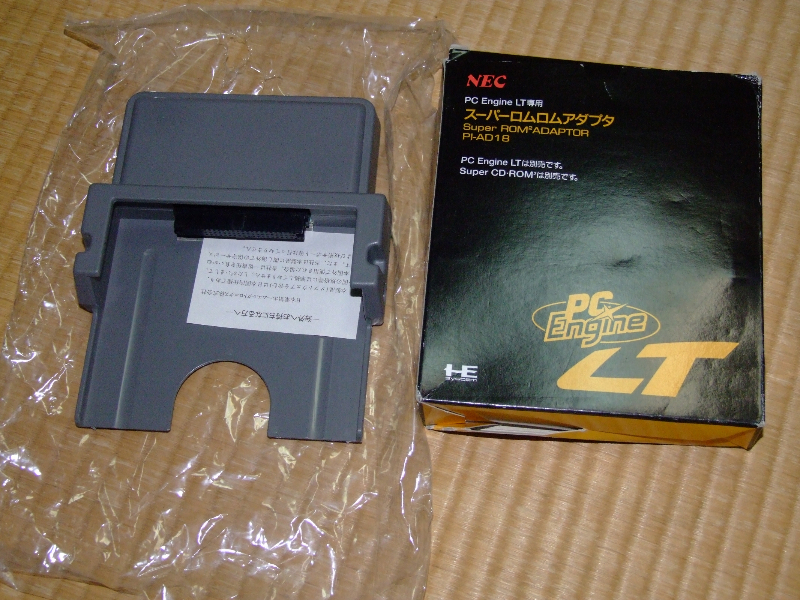 Next up, a bunch of PCE titles. 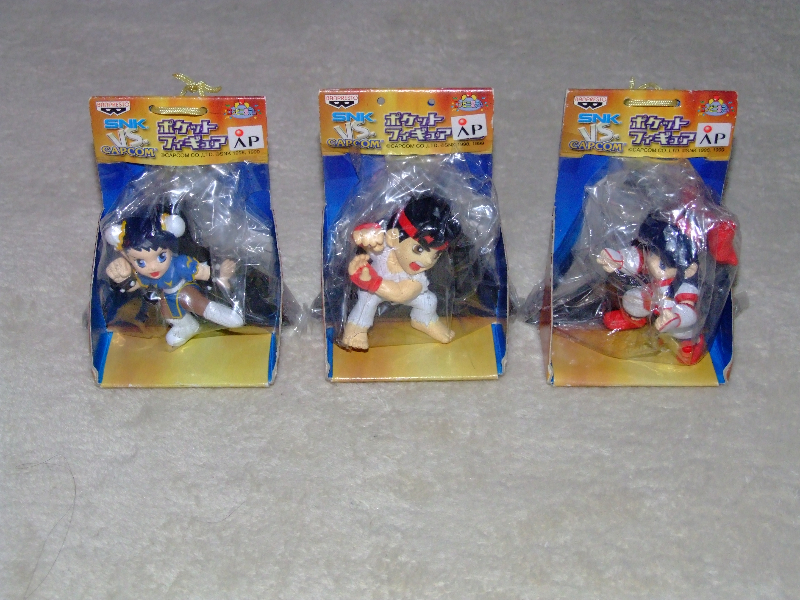 These weren’t actually obtained from the wild – well, unless you count Yahoo auctions as ‘the wild’ that is. 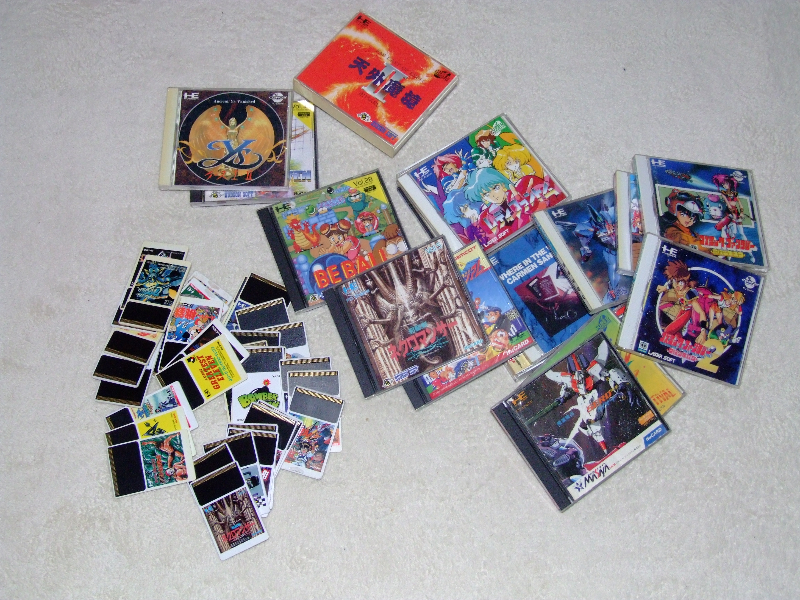 There were a few that I needed in the bunch, so I basically bought this heap just for about 3 or 4 games. Some little figures for SNK vs Capcom. There were another thing gotten from the auctions that arrived over the weekend. 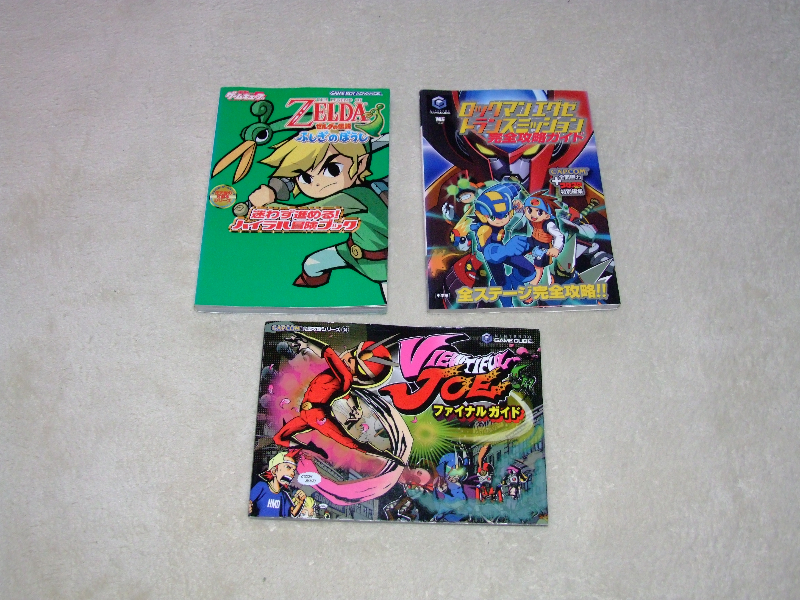 They were pretty cheap, so I thought why not – not like I could get them outside of Japan very easily right? Not into real life Pachinko/Pachislo a great deal, but I do like the controllers and games for the TV. 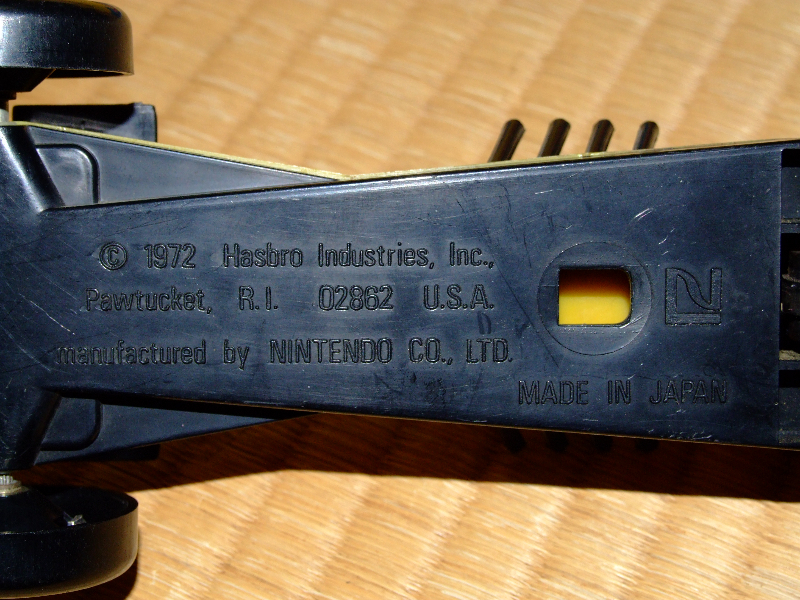 I have one of these controllers for the PCE, and to see one for the Famicom in the wild was a first, so I grabbed it. 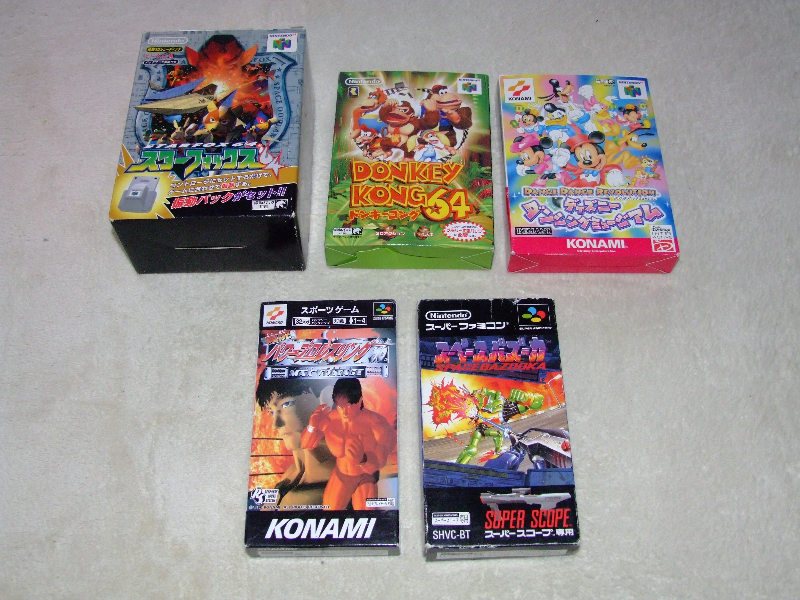 Managed to score a few boxed Famicom games as well, plus some new PCE and Saturn titles. 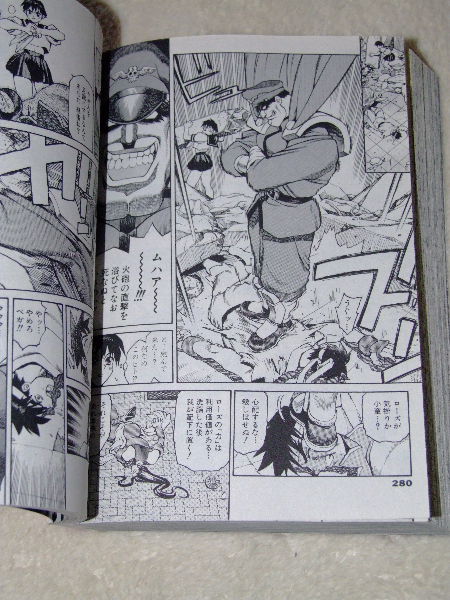 Yet another thing that I am now hooked on getting… Game related Manga! 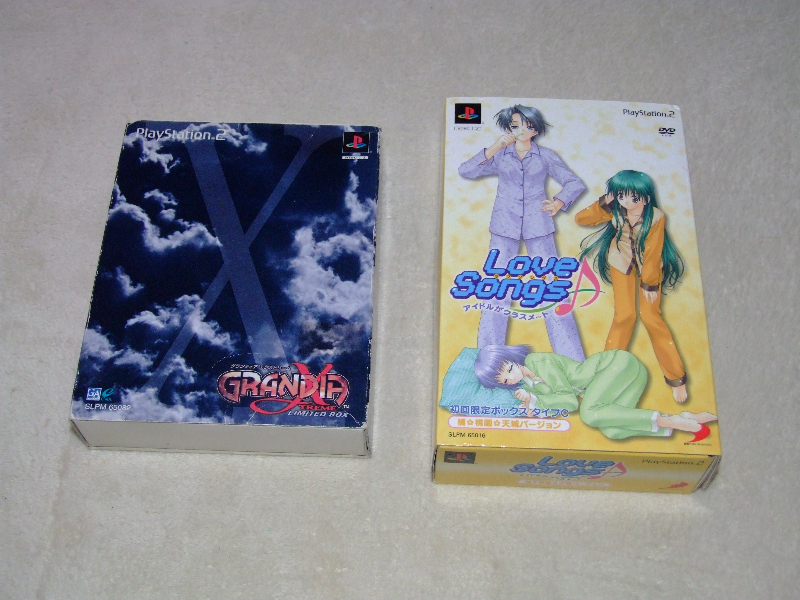 I found out about these recently while searching for something else online, and now it’s looking like I need to get the whole set – not easy to find though. I got this one from a BookOff that’s really close to my place (the first one I looked in incidentally), and then every other book related place I’ve been in came up with nothing. Have to persevere though! 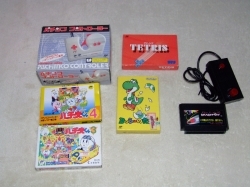 A few N64 and Nintendo related items. Got these from a BookMarket (not related to BookOff/HardOff/HobbyOff etc.) 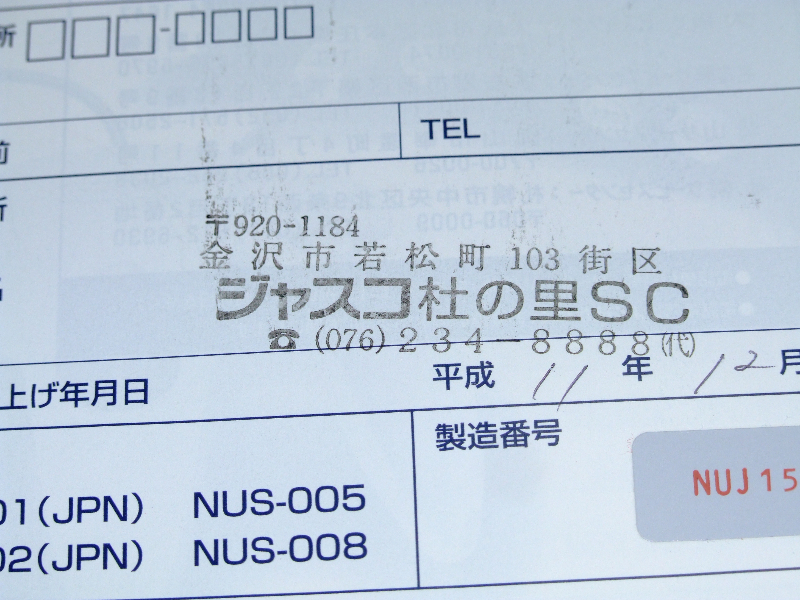 – you wait till you see what else came from this shop later in the post! 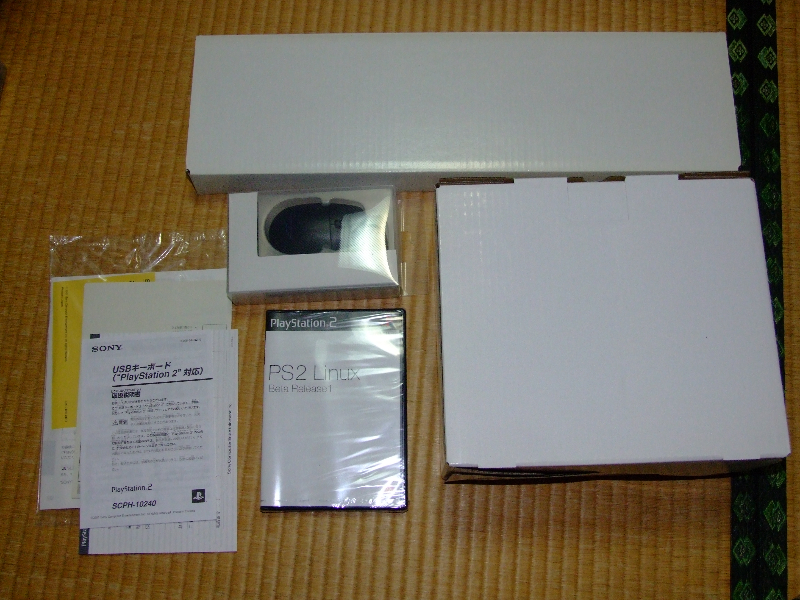 PS2 special editions. 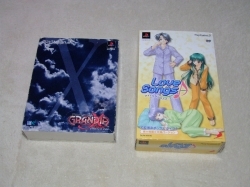 I had one of these before (the Love Songs one), and sold it on. As this was only the second one I have seen in the wild, I thought I’d grab it just in case someone wants it back home. 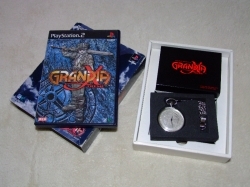 Check out that pocket-watch in the Grandia set though! 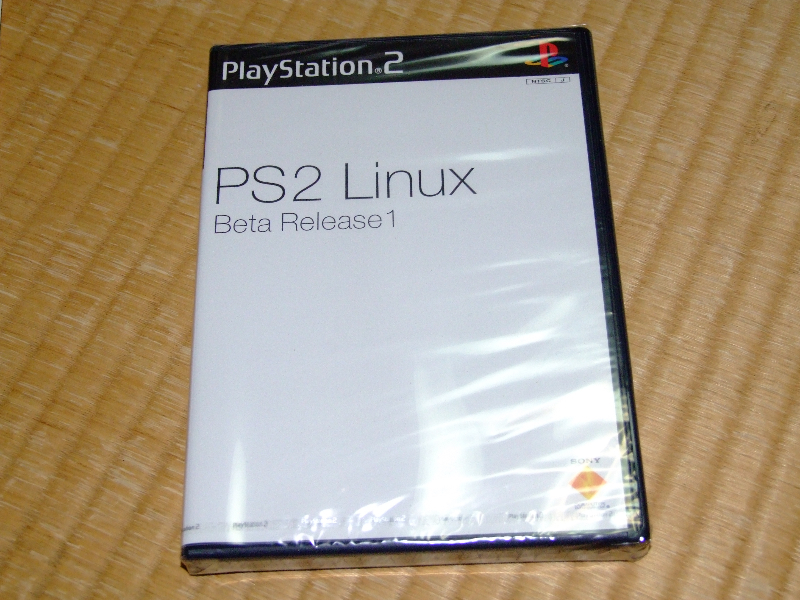 Won’t be long before they don’t even give you disks with the games you buy – stupid digital distribution…. 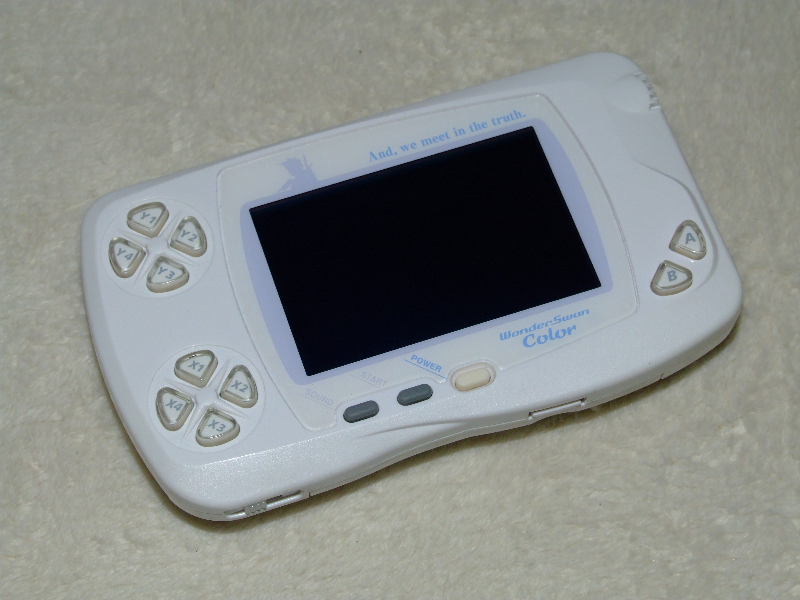 A nice Final Fantasy Wonderswan Color. This was about $5!!! My jaw seriously dropped when I saw this for that cheap. A few posts back I talked about a cool game shop that is absolutely meticulous in the way they wrap and store games which you may remember. Well, this was bought from that same chain – Chamelon Club. Really great stores made even greater by finding this for $5! And finally…. The pick of the bunch! 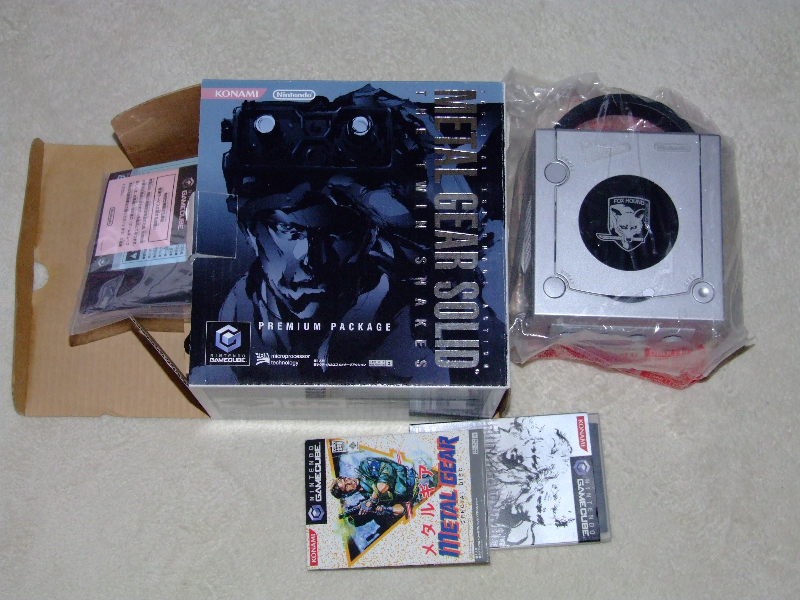 A Metal Gear Solid Gamecube limited edition! 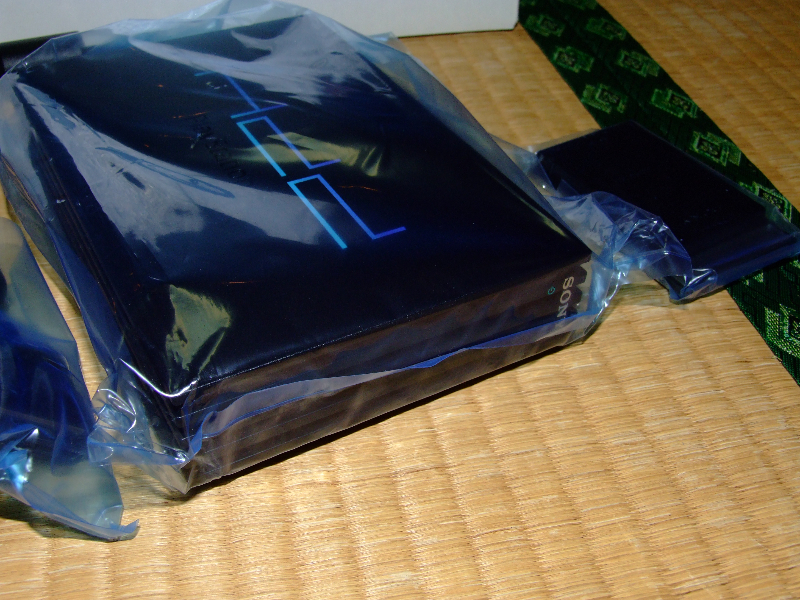 I have only seen one of these once before, and as I didn’t know what it was, I went home to look it up on the web (before smartphone days), and by the time I got back it had been sold…. 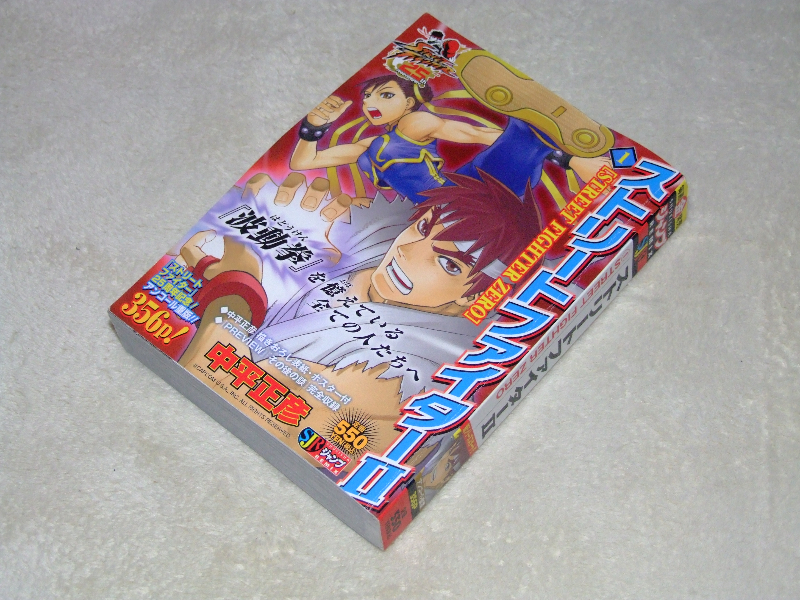 Like I said previously in this post, I got this – and some other great stuff – from BookMarket. This was the first time I had checked the store out too, so needless to say I will be going in there again! To top things off with GC, it was literally half the price of the last one I saw! 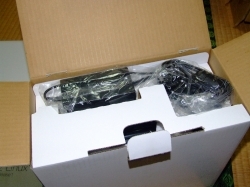 This particular Linux kit is unused, but the person who had it before me decided that they wanted to keep the VGA cable. This was a downer, but as the rest of it is all sealed up (and considering the bargain price I paid), I can’t complain too much. According to the web, the VGA cable isn’t exactly the greatest anyway, but it still would’ve been nice to have it included though…. 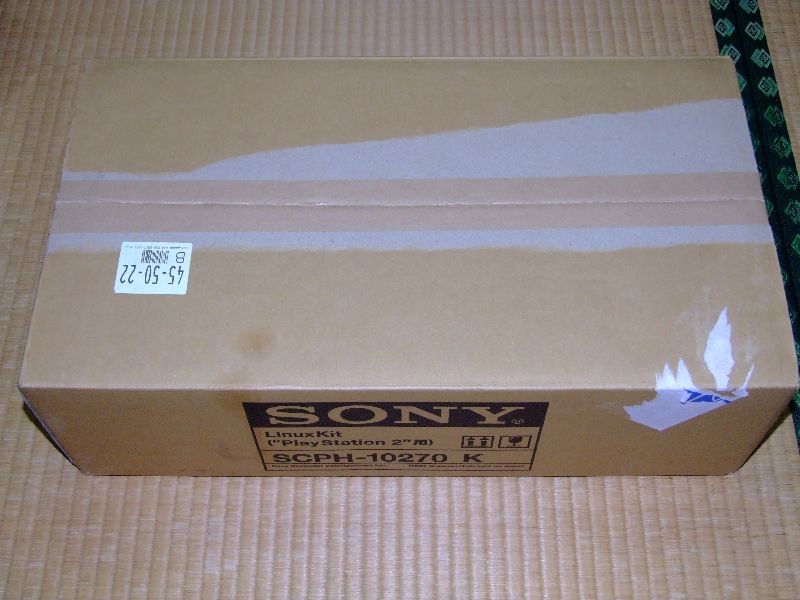 So what’s in the box? 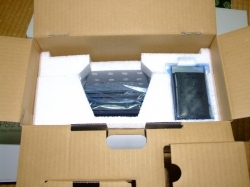 A full set should include a USB keyboard and mouse, a HDD unit, a PC card network adapter that connects to the PS2’s PCMCIA, a VGA cable, and a DVD-ROM containing the dev libraries. 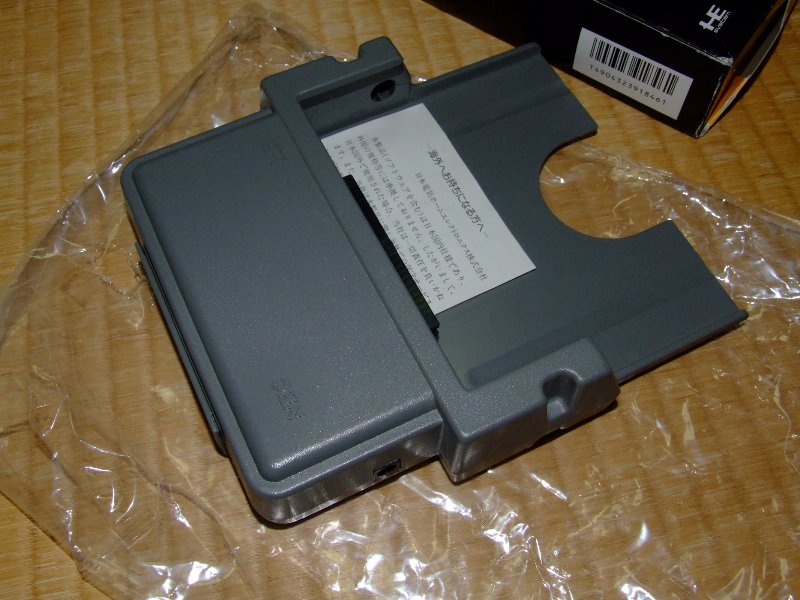 The card that connects via the PCMCIA slot has inputs for both Ethernet and HDD connections. 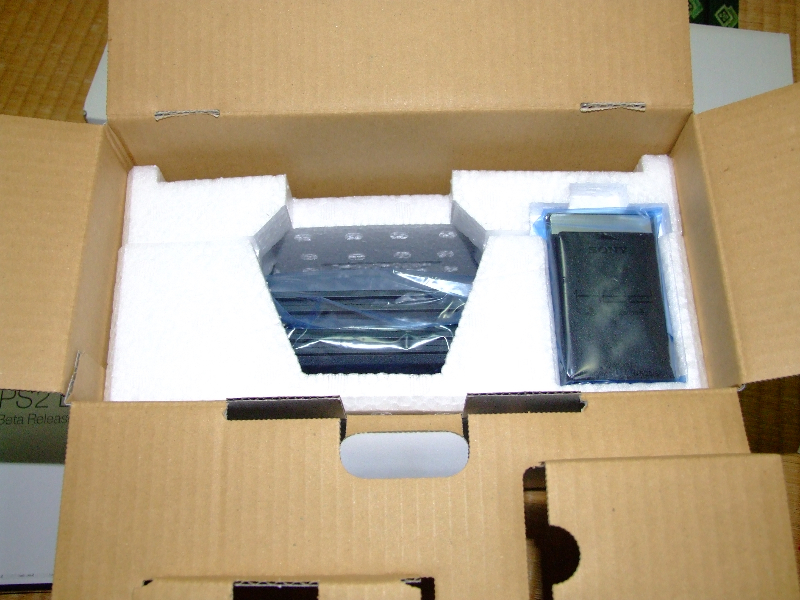 The 40GB HDD is one heavy little unit actually. At first I wasn’t expecting the weight of this thing! Unfortunately, for us that are used to English keyboards, the keyboard is just your standard Japanese format keyboard. 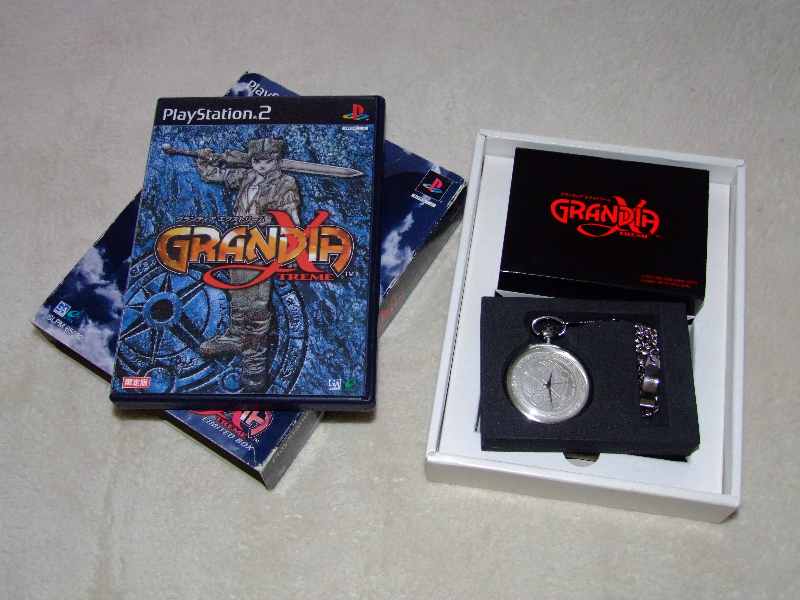 It does proudly have the Playstation logo on it though which is pretty cool. 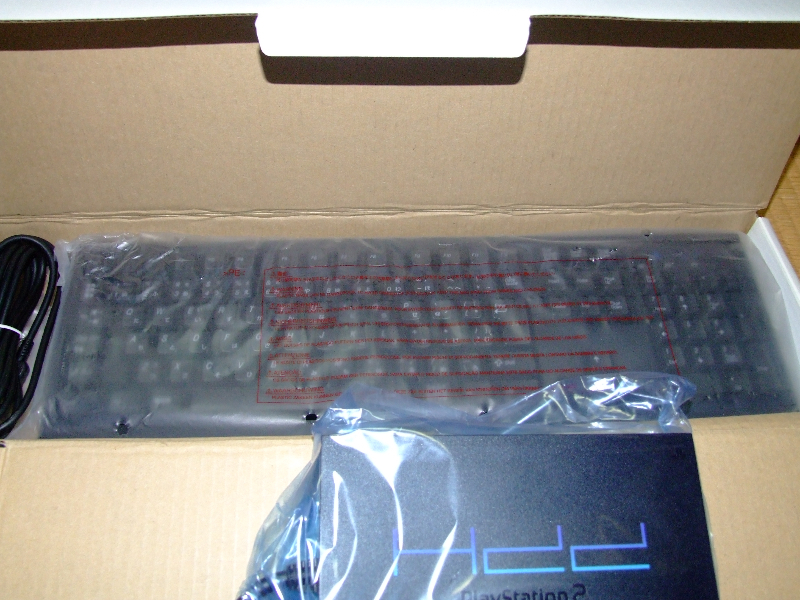 As this unit is sealed I can’t give you any impressions of how the keyboard feels, but through the plastic it doesn’t seem too bad. Both the keyboard and mouse are standard USB, so I assume that using your other keyboards and mice is an option – anyone chime in that may know more about that though. 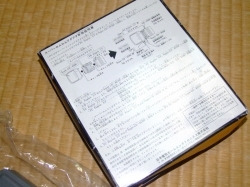 Personally as this unit is still sealed, and there is the chance that it might be sold on depending on my energy levels, I am not going to be opening it up to test it out. 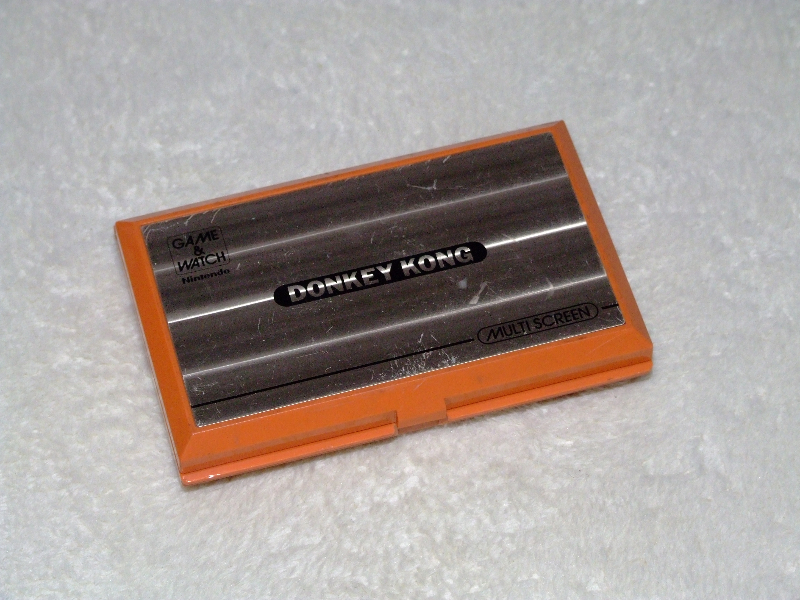 There are just too many people out there that see it as a really interesting piece of gaming history to open it up at this time. 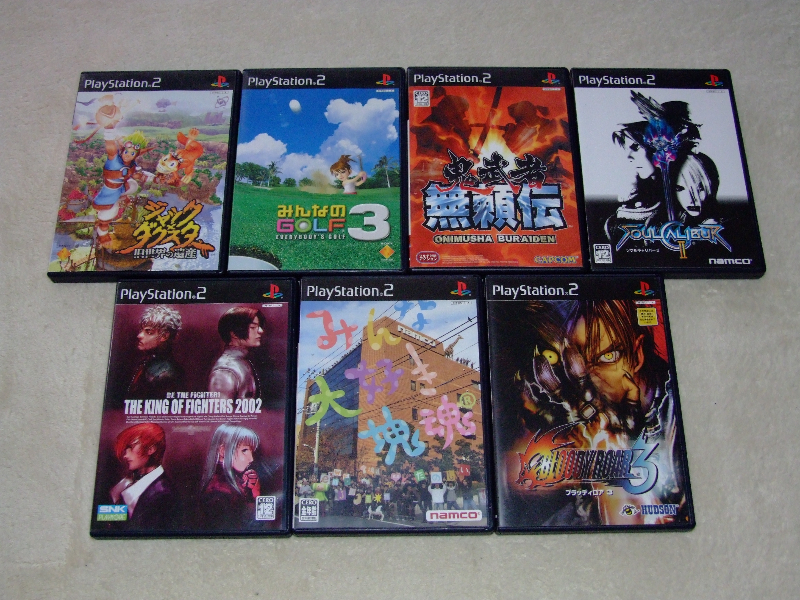 I was doing my once a fortnight manic/obsessive search through the used places, and not much was coming up, until…. 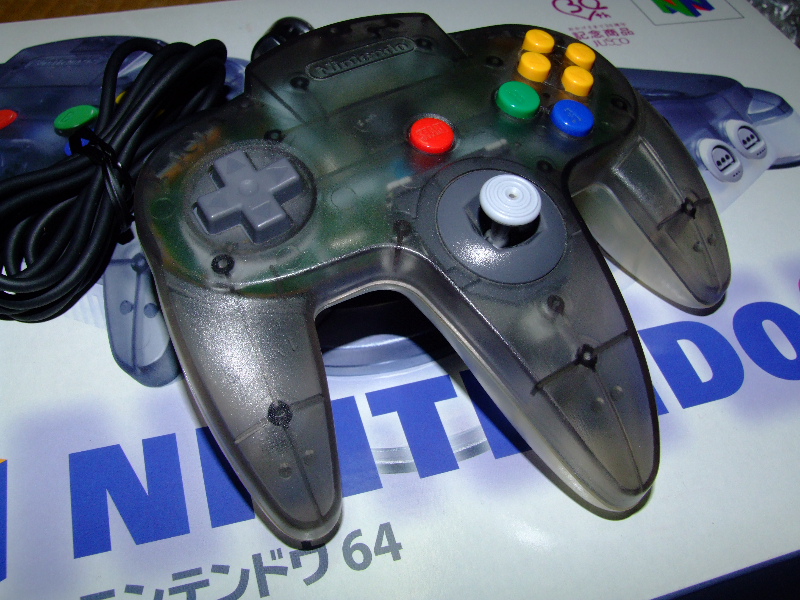 I head into CompOff (HardOff, but mainly focused on computers) and I see this Nintendo 64. 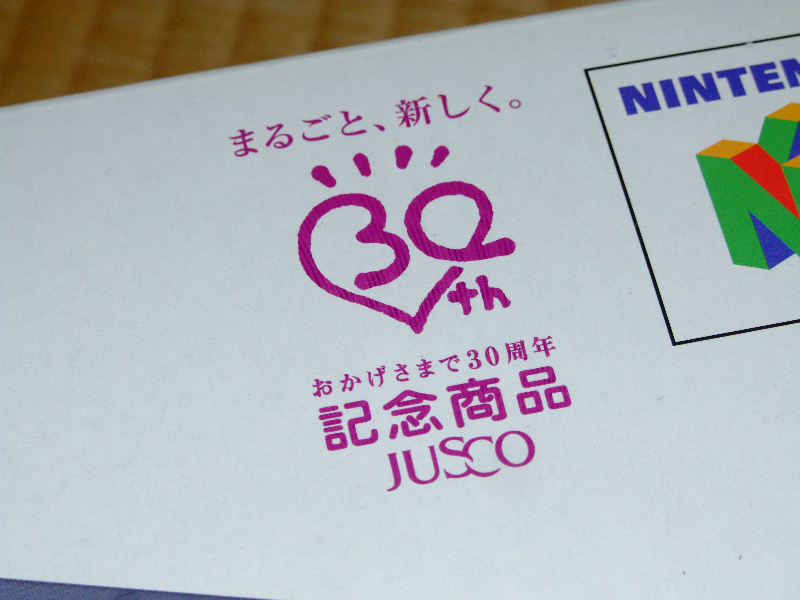 Not knowing too much about N64s, I think to myself that the colour of this one seems a little different, and also that Jusco 30th anniversary symbol must mean it’s not overly common – yes, I was that naive! Completely oblivious to what was sitting in the back of the car, my family and I do some shopping. Everything we buy gets put on top of it in the back. 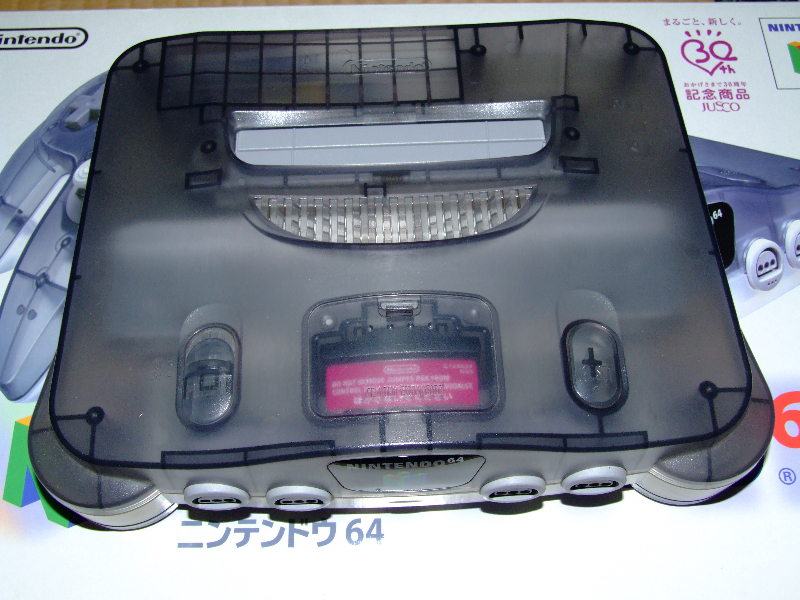 I am sure some of you Nintendo 64 collectors out there are thinking that Hollo does not deserve this rare piece of gaming history – can’t say that I’d disagree with you honestly. 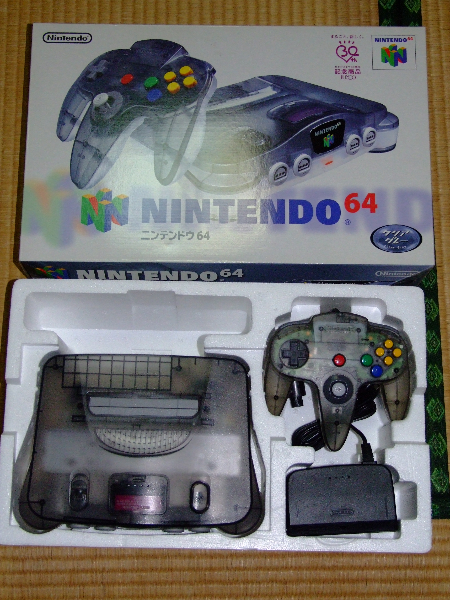 Luckily I didn’t do any damage to the box or the console itself you’ll be happy to know – I’d hate to have the N64 police at my door! 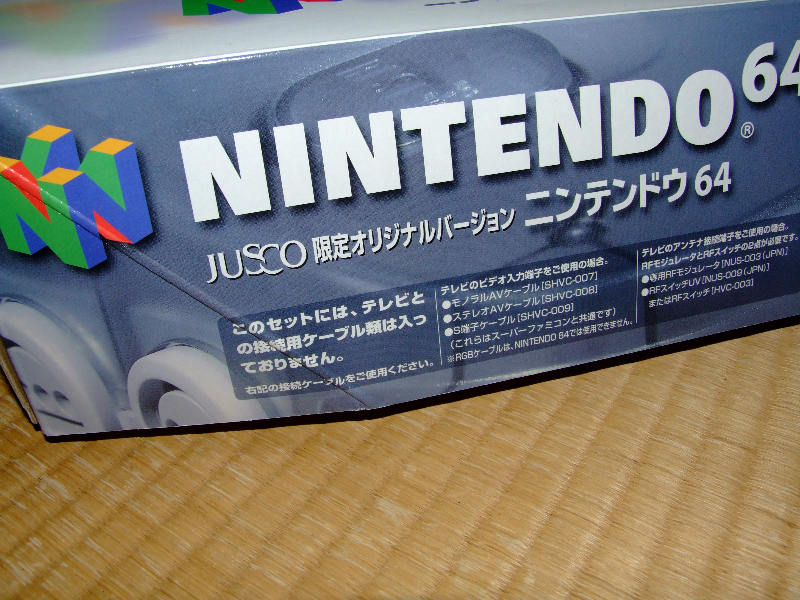 So, it seems that I am now the owner of one of the rarest N64s made. Of course, I didn’t know this until I also posted on Aussie Arcade to ask the guys if they knew any info about it. My mouth hung open like a total fool when Frank (AA member) gave me an approx value of the thing – had to slap myself pretty damn hard. For those of you (like me earlier) who have no idea what this is, why $25 is an amazing deal, and why CompOff obviously didn’t know what they had, I guess now is the time I should fill you in. 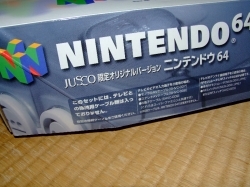 Basically the Jusco 30th Anniversary edition Nintendo 64 is a Japanese exclusive console that was released only for Jusco stores in Japan. 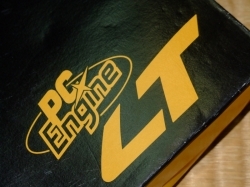 They are very scarce, and there are many (maybe an understatement there) searching for this particular version. The value of these things has jumped in recent years, but loose ones can sell for approximately $400 at the time of writing. Boxed and complete sets can sell for $650 plus! Now you might have an idea how stupid I was with this thing. 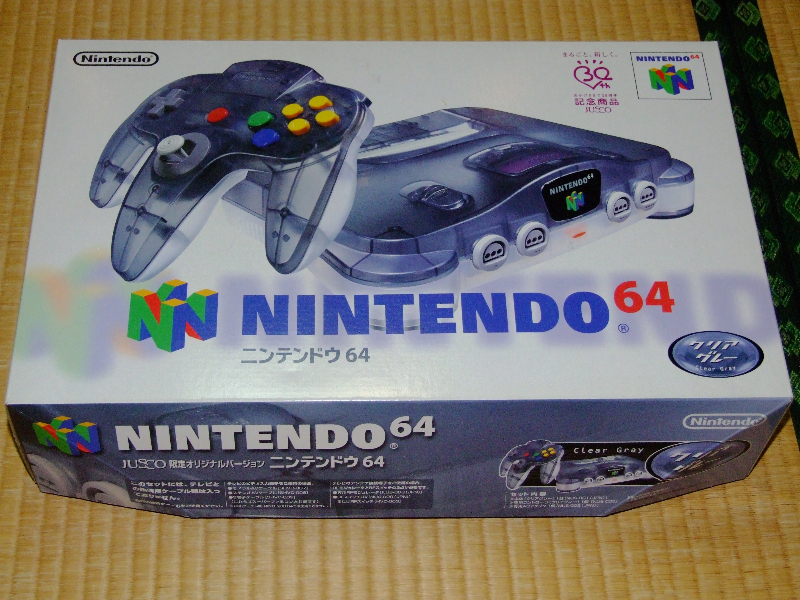 I had no idea about what this was, and as the HardOff group usually knows what they have, I kind of just trusted the pricing – even though it was slightly cheaper than you might find clean boxed N64s. 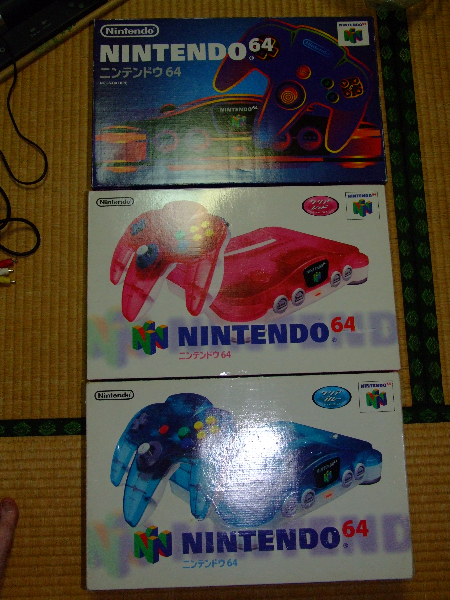 *While I was taking pictures of this one I decided to snap a pic of the other boxed N64s I have in my collection. 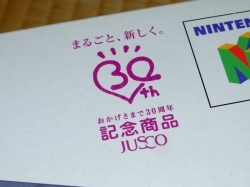 Amazingly this Jusco one is by far in the best condition! 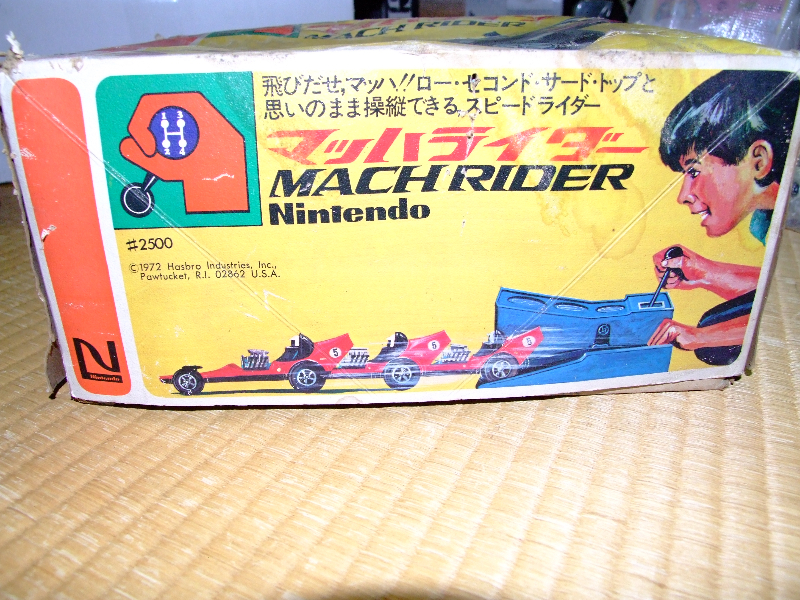 The Nintendo Mach Rider must have been one of those toys that every kid wanted. I can just imagine the line-up of kids with long scruffy hair, flared pants, and huge sunglasses waiting to get their grubby little hands on this thing. It really is a cool toy. 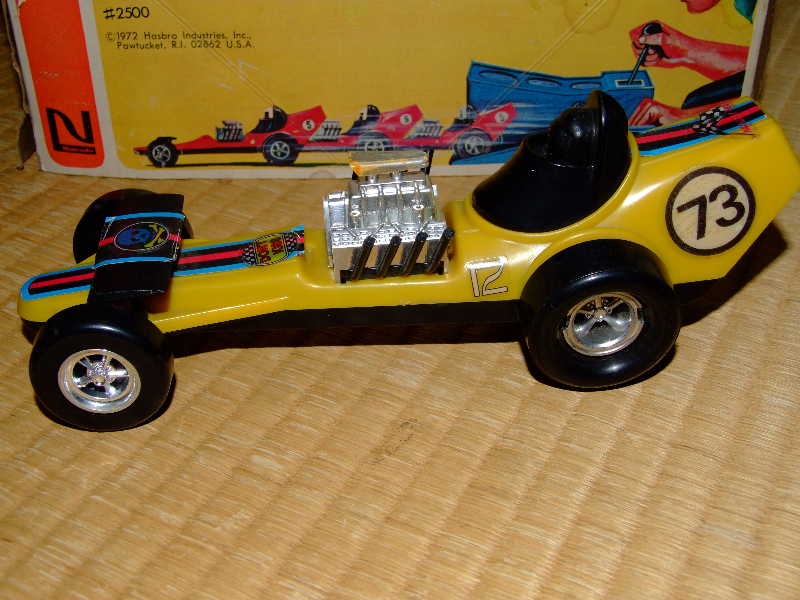 Made in 1972, the Nintendo Mach Rider is a battery operated toy car that basically shoots off in toe breaking fashion. 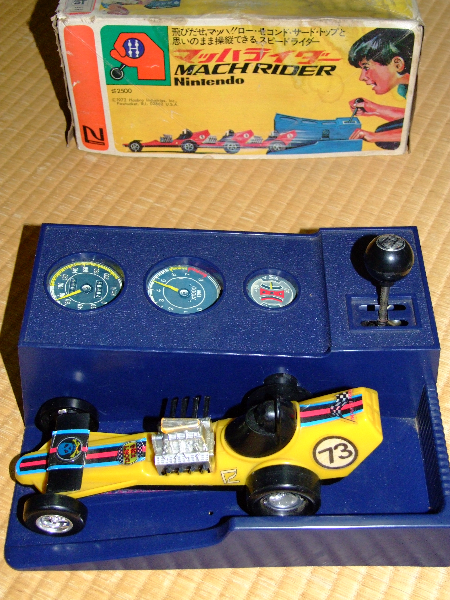 You place the car on the ramp, then adjust the gear shifter to go through the gears (with each gear increasing the speed of the drive wheel), then once you hit the fourth gear the thing shoots off the ramp. 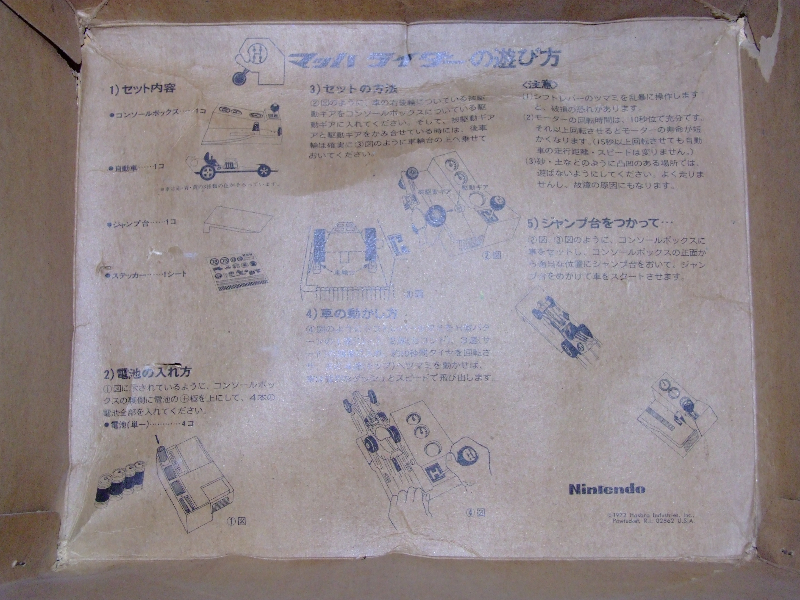 The instructions printed on the inside of the box in the following picture give some insight of how the thing works, but I will also link you to HairballNick’s youtube video which shows this actual car in action. Nick bought this one off me, and I am sure he won’t mind me linking to his vid. I would have loved to keep this car in all honesty, but I have to draw the line somewhere – I just don’t have the space!